Reliance Retail's JioFi continued to dominate the data card segment with a market share of 73 per cent, followed by Huawei and Alcatel, in the first quarter of 2018, a report said on Wednesday. Huawei and Alcatel collectively had a 24 per cent overall market share. According to CyberMedia Research's (CMR) report, Reliance Retail's shipments declined 24 per cent when compared to the previous quarter while Huawei witnessed a nine per cent sequential growth in unit shipments due to the growth in shipments of its models -- "E3372H-607" and "E5573Cs-609". 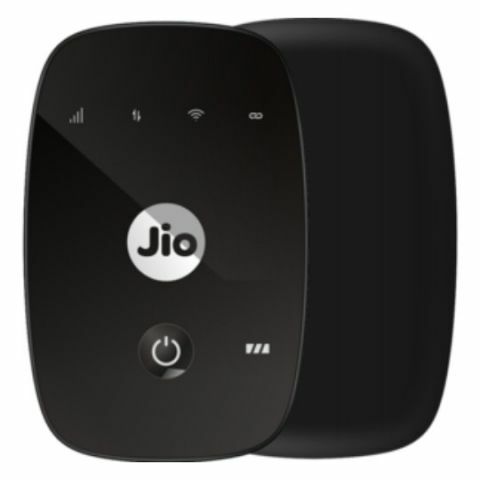 Reliance Retail's JioFi model "JMR541" captured the top spot with 49 per cent share in the data card market. "With Q1, 2018 being the end of the financial year vendors were busy clearing the previous stock than focusing on the fresh imports. Also, Reliance Retail imported huge shipments in January which gradually decreased by the month of March for the same reason," Shipra Sinha, Lead Analyst, CyberMedia Research, said in a statement. Notably, the overall data card market was confined to just four vendors by the end of the first quarter of 2018. MiFi devices with inbuilt battery and portability will continue to rise capitalising on the limited coverage of Wi-Fi routers and continuous power requirement by the conventional fixed-line broadband, the report predicted. "With the advent of the new financial year, the second quarter of 2018 is expected to witness rise in sales. Reliance Retail will continue to dominate on account of its strong user base with attractive internet plans attached to its MiFi models," Sinha added.